After seeing years of decline in violent crime, several major American cities experienced a dramatic surge in homicides during the 1st half of this year. Milwaukee, which had 1 of its lowest annual homicide totals in city history last year, has recorded 84 murders so far this year, more than double the 41 it tallied at the same point last year. Milwaukee Police Chief Edward Flynn said the mounting homicide toll in his city of 600,000 is being driven by Wisconsin’s “absurdly weak” gun laws (carrying a concealed weapon w/out a state-issued concealed carry is a misdemeanor in the Badger State), a subculture w/in the city that affirms the use of deadly violence to achieve status & growing distrust of police in some parts of the city. Baltimore, New Orleans & St. Louis have also seen the # of murders jump 33% or more in 2015. Meanwhile, Chicago, the nation’s 3rd-largest city, has seen the homicide toll climb by 19% & the # of shooting incidents increase in the city by 21% during the 1st half of the year. In all the cities, the increased violence is disproportionately impacting poor & predominantly African-American & Latino neighborhoods. In parts of Milwaukee, the sound of gunfire has become so expected that about 80% of gunfire detected by ShotSpotter sensors aren’t even called into police by residents, Flynn said. Criminologists are quick to note that the surge in murders in many big American cities come after years of declines in violent crime in major metros throughout the USA. Big cities saw homicides peak in the late 1980s & early 1990s as crack-cocaine wreaked havoc on many urban areas. The homicide toll across the country — which reached a grim nadir in 1993 when more than 2,200 murders were counted in New York City — has declined in ebbs & flows for much of the last 20 years, noted Alfred Blumstein, a professor of urban systems & operations research at Carnegie Mellon University in Pittsburgh. Several U.S. cities – including Los Angeles, Phoenix, San Diego & Indianapolis – have experienced a decrease in the # of murders so far this year. Blumstein said the current surge in murders in some big cities could amount to no more than a blip. “It could be 2015 represents us hitting a plateau, & by the end of the year, nationally, we’ll see that murder rates are flat or there is a slight bump up,” Blumstein said. But other experts say the surge in killings suggests that the United States may be nearing a floor in reducing its murder rate as the federal, state & local governments increasingly are grappling w/tighter budgets. So far this year, Baltimore has recorded 155 homicides, including 3 people who were killed late Tuesday evening near the University of Maryland, Baltimore campus. The 2015 homicide toll is 50 higher than it was at the same point last year. On Wednesday, Mayor Stephanie Rawlings-Blake announced that she was firing Police Commissioner Anthony Batts, bc of the spike in murders in the city. The firing also came as the police union was set to release a report hammering the department’s response to the unrest in Baltimore following the death of Freddie Gray, who died 1 week after sustaining a severe spinal cord injury while in Baltimore police custody. Gray’s treatment was held up by protesters as an example of the endemic problem of police brutality in the city & beyond. The Charm City, which is seeing some of the worst violence since the 1990s when it routinely tallied 300 murders annually, recorded 42 killings in May alone. In St. Louis, there have been 93 homicides compared w/58 at the same point last year. The increased violence this year in St. Louis follows the city recording a more than 30% increase in murders in 2014, when police in the city saw a steep rise in violence following the shooting death last August of Michael Brown, a black teenager, in nearby Ferguson by a white police officer. Police have made arrests in only 29 of the 2015 homicide cases, suggesting witnesses are increasingly showing a reluctance to come forward. St. Louis Police Chief Sam Dotson said that he’s increasingly looking to federal authorities to get involved in cases in the city in the hopes of spurring witnesses to come forward. St. Louis Police & several federal agencies also plan to announce a new partnership next week aimed at reducing the violence in the city. “Our clearance rates aren’t where I’d like them to be,” Dotson said in an interview. “We do have some things working w/the feds that I think will start sending a very clear message (to the public) in the next 3 to 4 weeks. 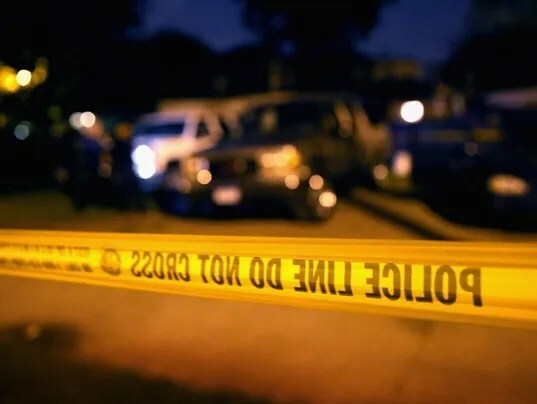 New Orleans has recorded 98 homicides so far this year compared with 72 at the same point last year, according to a count kept by Scharf, the LSU analyst. The bloody summer in New Orleans — the city of about 380,000 recently tallied 7 murders in an 8-day period — is shaping up to be 1 of the most brutal the city has seen in years, Scharf said. Chicago’s homicide toll stood at 203 as of June 28, up from 171 at the same time last year, according to police stats. The city is still well below pace of 2012, when Chicago recorded more than 500 murders for the entire year. The Windy City, which recorded more murders than any other municipality last year, experienced a bloody July 4 weekend in which 11 people were killed & more than 50 others were wounded. 1 of this weekend’s victims was 7-year-old Amari Brown, who police said was struck by a bullet that was likely intended for his father, a high-ranking gang member. The boy’s father, Antonio Brown, had 45 arrests on his rap sheet—including an April arrest on a gun charge. Brown was out on bail at the time of his son’s killing. In New York City, there were 161 homicides in the city for the 1st half of 2015 vs. 145 during the 1st half of 2014. Shootings in the city rose to 542, from 511 in the same period last year. New York recorded 328 homicides last year, the lowest annual murder toll for the city in more than 50 years. “It’s so phenomenally low that it can hardly go in any direction but up,” said Blumstein, the Carnegie Mellon analyst. Synthetic drug influx spurs killings in D.C. The homicide toll has risen several other major U.S. cities in the 1st half of the year, albeit at less dramatic pace. In Philadelphia, murders are up slightly, w/the city recording 123 thus far this year compared w/117 at the same point last year. The murder rate, however, is far lower than it was in 2012, when the city had recorded a whopping 187 murders by July 7 of that year. Dallas has tallied 68 murders so far this, up from 53 in 2014, according to police department statistics. San Antonio counted 53 homicides through June, compared w/43 last year. Meanwhile, Houston Police reported 73 murders in the 1st quarter of 2015, compared w/46 during the same period last year. The police department for the 4th-largest U.S. city has yet to release its murder tally for the 2nd quarter of 2015. Minneapolis had 22 murders in the 1st half of 2015, compared w/15 during the same period last year. In Washington, D.C., the homicide count stands at 73 compared w/62 last year. Police & politicians in the nation’s capital have connected the spike in murders to the influx of synthetic drugs, including K2, spice & others which are said to mimic the effects of marijuana. Washington Police Chief Cathy Lanier expressed confidence that the rate could be brought down. Non-fatal shootings & assaults in the district are down 17%, indicating violent incidents aren’t more common this year, just deadlier.